Turkey’s President Recep Tayyip Erdogan has dismissed Russian claims he is benefiting from the oil trade with ISIS as “slander”. Russia claims that Turkey is the biggest buyer of oil smuggled from ISIS-held territory, accusing Recep Tayyip Erdogan and his family of direct involvement. However, Recep Tayyip Erdogan said he would resign if such allegations were proved. 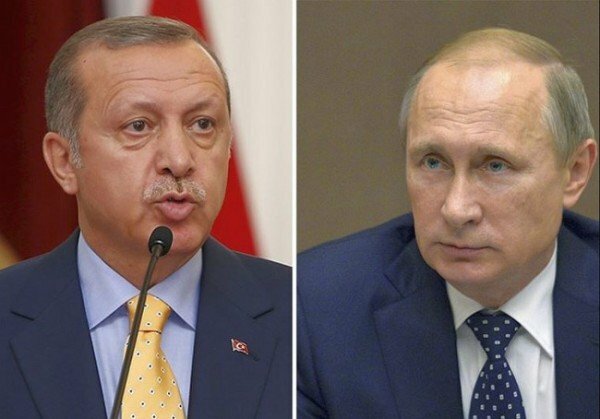 Russia and Turkey are locked in an angry spat over the downing of a Russian warplane by Turkish forces. Responding to the allegations, Recep Tayyip Erdogan said “no one has a right to engage in slander against Turkey by saying that Turkey is buying oil from Daesh [ISIS]”. Earlier, Russia’s defense ministry displayed satellite images it said showed columns of trucks loaded with oil crossing from ISIS territory in Iraq and Syria into Turkey. “According to available information, the highest level of the political leadership of the country, President Erdogan and his family, are involved in this criminal business,” Deputy Defense Minister Anatoly Antonov told the briefing in Moscow. Russia said it was producing only “part of the evidence” for now and did not provide direct proof of their claim that Recep Tayyip Erdogan and family were involved. The US has also rejected the allegations. “We just don’t believe that to be true in any way, shape or form,” a State Department spokesman said. President Vladimir Putin has already accused Ankara of downing the plane on its Syrian border to protect oil supply lines. On December 2, Recep Tayyip Erdogan called Russia’s response “disproportional” and said Turkey would take their “own measures” if they continued, without specifying what they would be. Despite the tensions Russian Foreign Minister Sergei Lavrov has said he is prepared to meet Turkish counterpart Mevlut Cavusoglu at a security conference in Serbia this week. It would be the first time the officials have met since the downing of the Russian fighter jet.